Greenpeace International today launched a report documenting the increasing private Moroccan fleet in Western Sahara. The combination of that fleet with a new European fisheries agreement with Morocco is not sustainable, according to Greenpeace, calling for the European Parliament to reject renewed EU fisheries in the occupied waters. In November, Western Sahara Resource Watch revealed shocking images of the vessel Adrar, in the process of discarding 60 tonnes of sardines. The reason: They were too small for the canning factory. This only vessel is said to have dumped 1000 tonnes of fish into the waters off Western Sahara only this year. 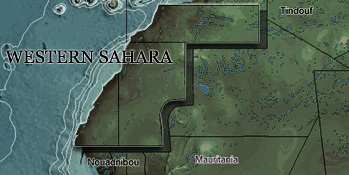 But Adrar is only one of many of an increasingly large Moroccan private fleet offshore Western Sahara. In 2010, the European Commission received a slamming evaluation report stating its previous fisheries agreement in Western Sahara was unsustainable, as all the stocks were overfished. Since then, by Christmas 2012, Morocco entered into a massive 200.000 tonnes/year fisheries agreement with Russia. But furthermore, and not much covered internationally: the private Moroccan fleet has exploded. Greenpeace International today launched the report "Exporting Exploitation - How retired EU fishing vessels are devastating West African fish stocks and undermining the rights of local people". The publication documents 21 vessels taken into use by Morocco in Western Sahara over the last years only. Of those, 12 have been exported from EU states. Greenpeace “demands that the EU stop exploiting the fishing grounds off the coast of Western Sahara and Morocco, unless and until it can ensure that fish stocks are managed in a sustainable manner and that the fishery takes into account the wishes and benefits of the people of the territory”. Download the Greenpeace report “Exporting Overfishing” published today here. •	prevent the transfer of excess fishing capacity to other regions. Read more on Greenpeace webpages.